The most definitive history of the Norfolk and Western Railway steam power ever written has been expanded and updated in this new, revised edition. 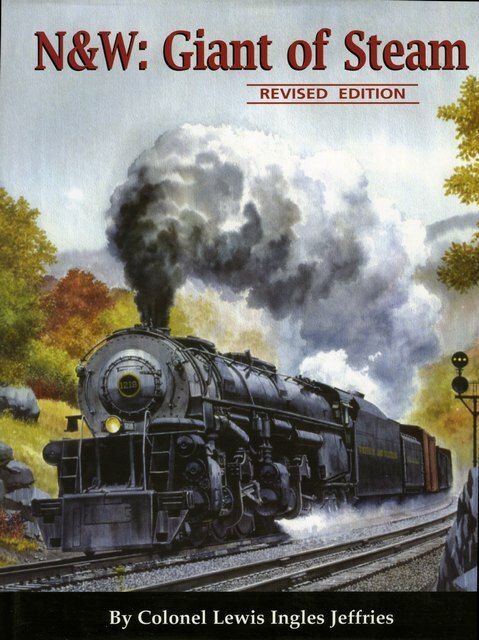 This colorful tribute to the glory days of N&W's steam is the culmination of an additional 25 years of research that presents this greatly expanded account of the N&W's motive power and its operations from 1896 to 1964. Includes sections on older steam, modern steam and other power with statistical data, a Roanoke Shops construction list, and a listing of all pre-1964 N&W motive power either preserved or still in service on Norfolk Southern. Includes info on N&W electrics, turbine-electric "Jawn Henry" and the proposed compound Class Y7. First & second generation diesels are covered. Virginian merged locomotives are also included.